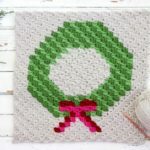 Modern C2C Crochet Christmas Afghan - Free Pattern! 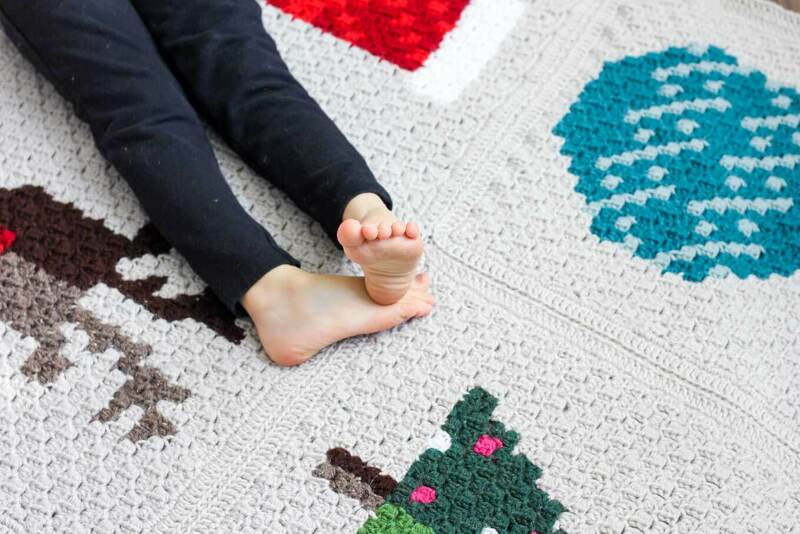 Make an heirloom your family can snuggle up with year after year with this free corner to corner crochet Christmas afghan pattern! Is it appropriate to throw a party because you finish a crochet project? Because, if so, you’re all invited. I’ll bring the eggnog! 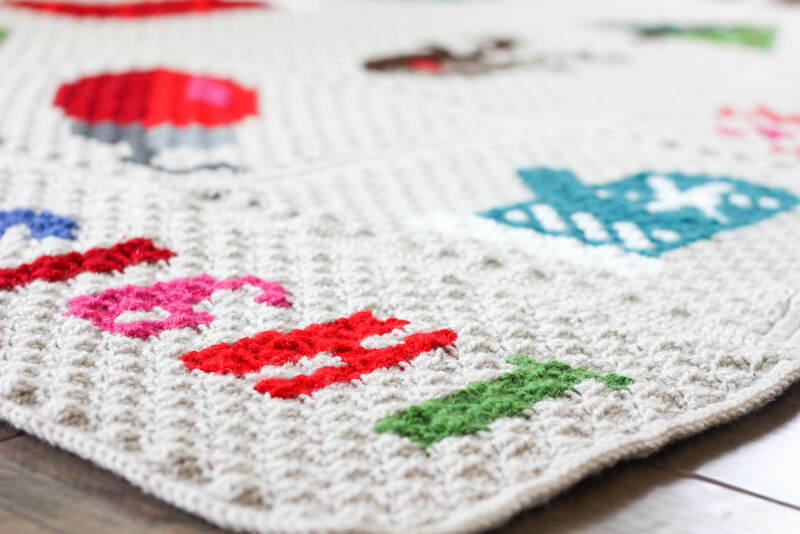 Many of you have been sweet enough to watch me plug along on this C2C Christmas afghan since August, so I think you deserve a special mention at this party. I started this project at the end of summer thinking that I’d have plenty of time to lovingly craft it over the coming months. Then the reality of having two kids, a blog, a husband and about 12,389 other pattern ideas hit me. So here we are, almost mid-December and I’m finishing it just in the Saint Nick of time. Want to know which projects distracted me from Christmas afghan over the last few months? Check out the “Granny Gives Back” hooded blanket, the “Piece of Cake” cowl, the “Dessert Winds” triangle scarf, these moccasins made from flip flops, the “Snowdrifter” chunky afghan, the “Winter Wanderer” Nordic super scarf, the “Santa’s Helper” elf hat, this pumpkin cozy and these sweater boots with flip flop soles. 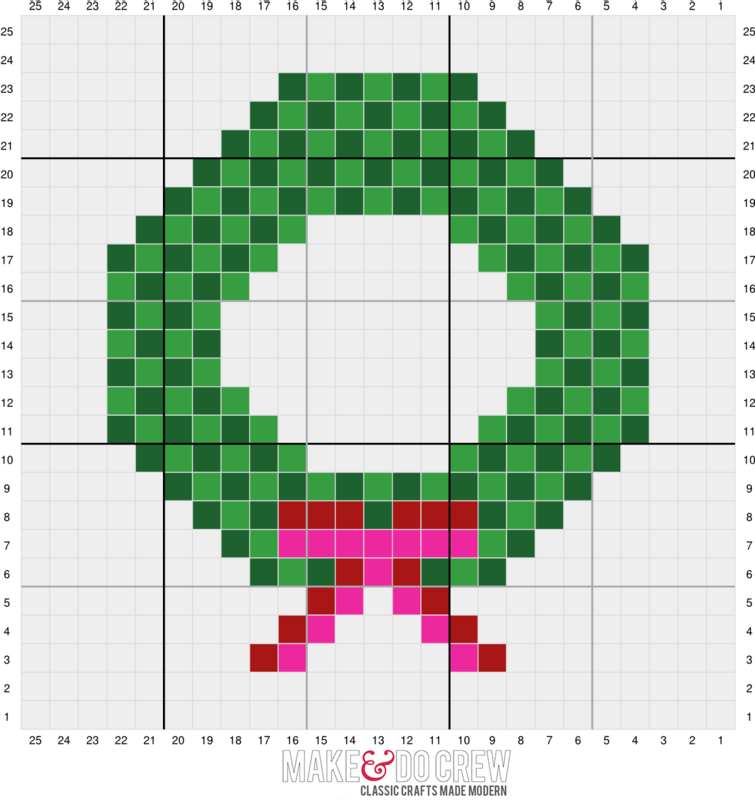 Below you’ll find the free printable graph patterns for each square in this crochet Christmas afghan. 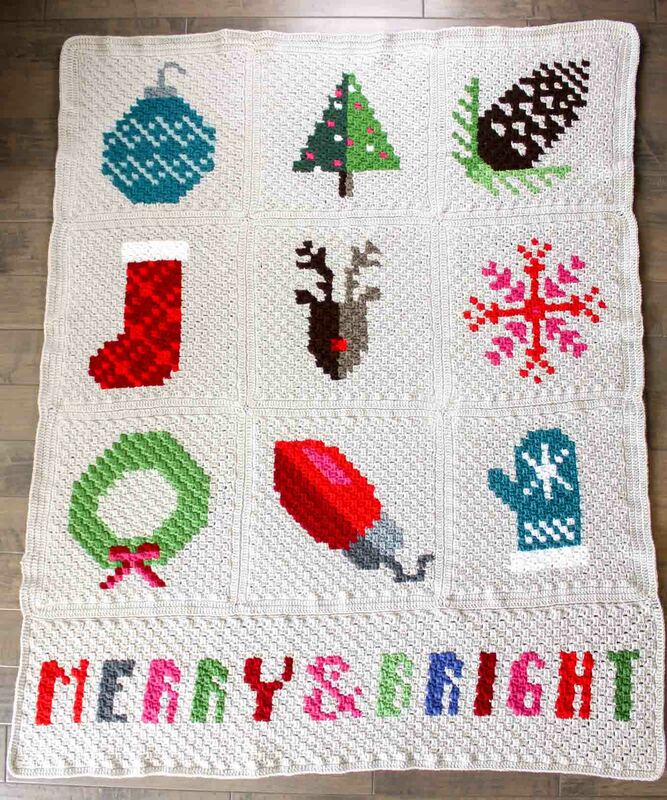 Also, I’ve included the “Merry & Bright” banner I added to the bottom of my blanket and the tutorials I created about adding borders to C2C squares and joining them with an invisible seam. For some reason (perhaps because I took a couple months off between crocheting these squares and then tackling the banner), my banner turned out to be a looser gauge than the squares. You might notice that my 9-block section has an extra border of double crochet around it and the banner doesn’t. The banner is designed, though, to fit across the width of three blocks that each have a double crochet border before being seamed together. This entire Christmas afghan was worked in Lion Brand Vanna’s choice (aff link). Each blog post notes the colors I used, but there are so many pretty colors of Vanna’s Choice available, that I encourage you to follow your own creative vision! 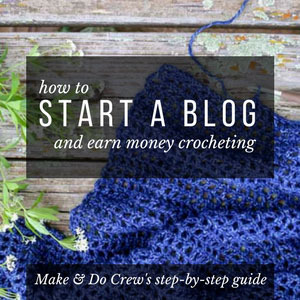 If you have been watching from the sidelines while I crocheted this afghan, now is the PERFECT time to start your own! 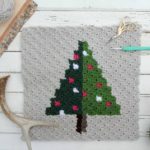 Seriously, if you make one square a month starting in January, you’ll have your own C2C crochet Christmas afghan ready to enjoy next year. 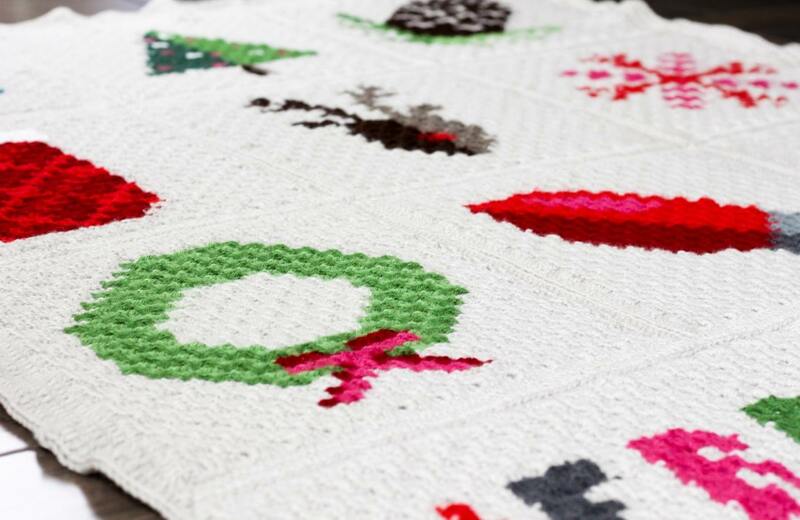 Add this crochet Christmas afghan pattern to your Ravelry favorites here. Pin this project for later here. Note: I worked the entire afghan using half double crochets instead of double crochets. (Read more details about how to do that here.) My finished blanket is approximately 57×66″. 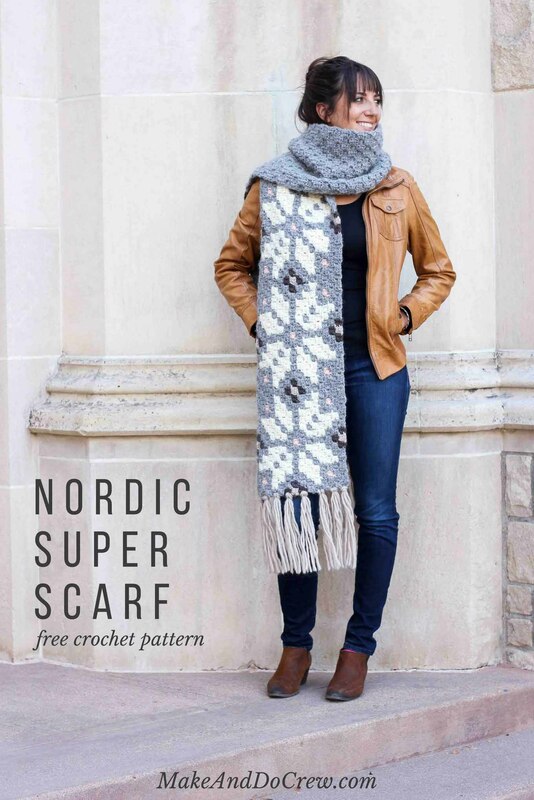 If you’re a fan of corner-to-corner crochet, be sure to check out my free “Winter Wander” Nordic super scarf pattern too! You have inspired me! One question: how many skeins of the background color dodnyou use? Thanks! Gosh, I wish I kept better track. I just kept starting new skeins to add as necessary to the designs so I am not exactly sure. If I had to give a rough estimate, I’d guess about 12-15. Love your patterns and already have made the elf hat but don’t know where to get the skin colour yarn for the ears … they may be an odd colour.. I’m going to try your hexagon afghan pattern. I recently went to a seniors home and they need Lapghans for seniors in wheel chairs. They are about 4 feet by 4 feet do you have any ideas. Do you have a pattern idea for that other than a plain stitch? Anyway as I said I love your patterns and if I wasn’t working full time I would be crocheting full time. Its a beautiful quilt. I absolutely love it. 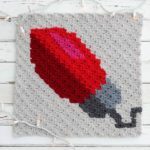 Thank you so much for sharing all the blocks and your creating of this awesome warm throw. Beautiful Christmas blanket, a treasure to be cherished forever. A lot of work and wonderful results. Absolutely love the afghan. I hope when I make I can do it justice! It is beautiful! Great job in the details! Very impressive work. Your Christmas afghan turned out really great. Congratulations!! and Happy Holidays!! oh my ! I do love your blanket. This makes me wanna try c2c. You did good ! It is just gorgeous. I love it. Yes, I understand why it took so long to make but it is worth it when you look at it. Its awesome. Can’t wait to make it. What an outstanding afghan; absolutely beautiful. You did a wonderful job. I have watched each post with great interest. I have done crochet for years, though I put it aside for a time. Your posts have me itching to work on the c2c afghan for next Christmas. I tried getting to it this year, but find I will have to fine tune my craft time a bit. Thank you for your wonderful projects and patterns. Happy Holidays to you and yours!? Looks fantastic!! Don’t fret over how long it took…the point is you finished it, didn’t get frustrated and let it sit for 3 years ? I think I’ll be making this for sure!! 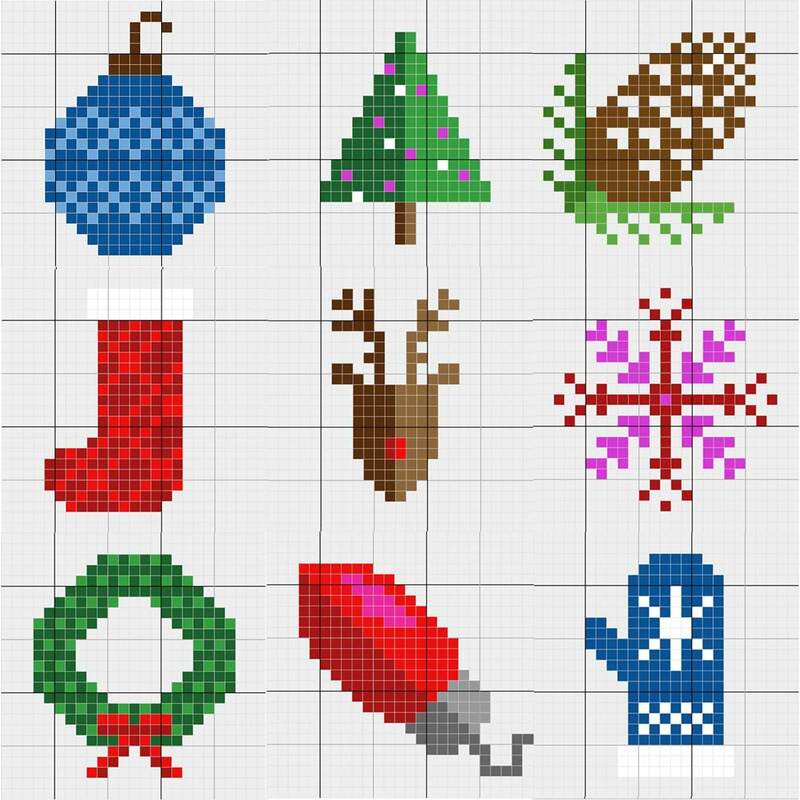 Is it possible to use the graphs with regular techniques, instead of the c2c?!? You sure could! Like you could make each graph in rows of single crochet, although each square would be significantly smaller than these are. Thank you so much for sharing all of your lovely patterns. This Christmas afghan takes the cake. This is so cute. absolutely precious in from of the tree with one of your little ones sprawled out on it. Thank you for your patterns and your very friendly blog!! Blessings to you for the Christmas Season and throughout 2017! I love love love this Christmas blanket. Thanks for sharing your talent with us. Merry Christmas! I love the afghan and have started collecting the yarn. I don’t understand at what point in the design do I start decreasing to make the square? Good question! And I’m sorry I’m delayed in answering it. In the case of these blocks, you work until you have 25 squares across along the bottom edge. That will mean you’ll have crocheted all cells along the very bottom row of the graph. That’s when you’ll start decreasing so that the other edge of the square can be established. Does that make sense? 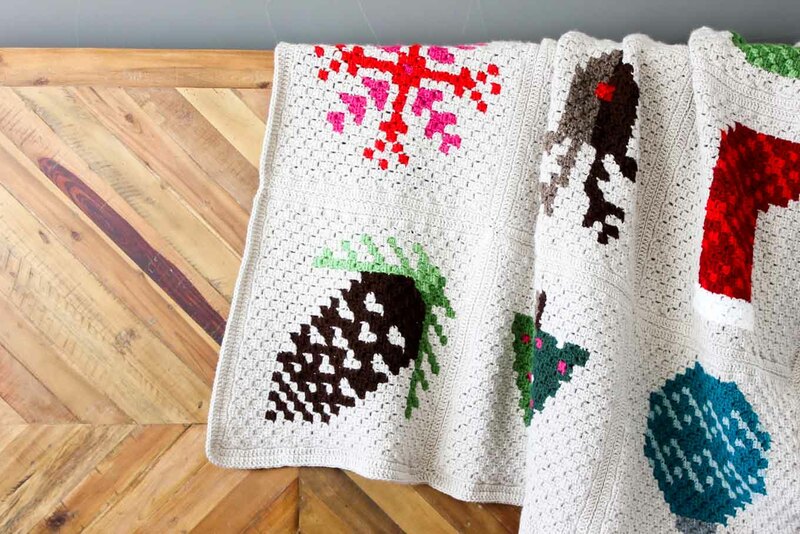 I LOVE your Xmas afghan and have made the pine cone so far. I have one question though. When I got done the square is wonky and I had to block it severly(sp? )in order for it to be a square. Is this normal or am I doing something wrong? Thank you for the beautiful pattern. 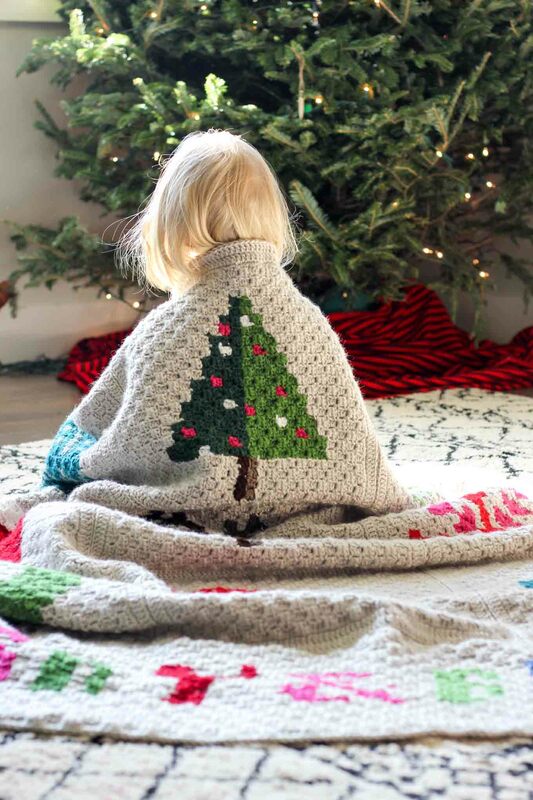 I’m so glad you’re having fun with the Christmas afghan patterns! When you say wonky, was it a rectangle or just sort of slanted? I noticed a lot of mine tended to be slanted, sort of in a diamond-ish shape. Once I blocked them and sewed them together, they looked square. I think that slanty thing might just be an outcome of C2C. I’d love to see your blanket when you finish! This is a beautiful blanket and I plan on starting on it as soon as I finish the other 3 I’m working on now. LOL! I’m trying so hard to not get distracted…that’s how I wound up with 3 WIPs at the same time! One thing I didn’t see is where you indicated what yarn and hook was used to make the banner. Could you confirm? Haha, gosh, I feel you on that Caitlin. So. Many. Projects. The yarn and the hook for the banner is the same as I used throughout the afghan squares (Vanna’s Choice yarn and a size G hook, I believe.) I just sort of grabbed left over colors from the afghan until I liked the order they were in for the banner. Please let me know if you have any other questions! Thank you! Also, does the banner get a border of double crochet before it’s attached to the squares? Or is it attached to the squares and then everything gets a double crochet border? This is gorgeous! 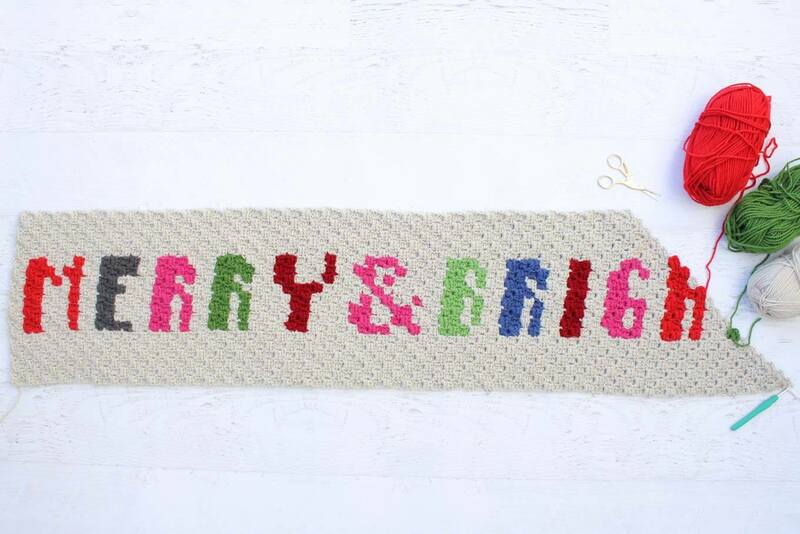 What colors did you use for the Merry & Bright banner? Have you ever posted a picture of the backside of the afghan? does it look as pretty as the front? 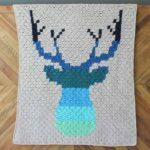 Hi, Where on your website can I find written directions (a pattern ) for the corner to corner afghan? I see lots of videos but nothing that I can print. I’m sorry, at this point I don’t have written instructions for the xmas afghan, just the graphs. If that changes, I’ll definitely update the post to let you know! Beautiful Afghan! It reminds me of an Afghan blanket from my grandmother’s home. It had a single bird in each square (cardinal, bluejay, hummingbird, etc). I believe it also used Tunisian stitch. The blanket is long gone as she passed away almost 40 years ago and I was quite young at the time. I have been searching for a pattern to rekindle one of my few memories of her without much success. Your site gives me hope that it is possible to do this and to continue my search for the pattern. Thanks! Oh wow! That sounds beautiful! I’m so happy you found your way here, Shanell and that you might have found the inspiration you needed. Is there a central supply list? I’d like to make this without just buying a ton of yarn that I don’t need or too little to finish. Thanks!